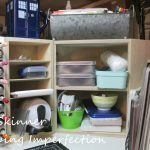 I’m excited to share my latest craft organization find. I’m so happy with my Totally Tiffany Companion Cart that I want to get at least one more! Full disclosure: I joined the Totally Tiffany Blogging Troup and Tiffany graciously offered each of us the opportunity to select one item from her shop at any price point. I selected this little Companion Cart and I’m delighted with it. I just can’t decide what I want to use it for. I have too many ideas for using this and not all of my ideas are for the craft room! I’ve been trying this out for about a month and I’m using it for my journaling supplies and for my stamp and die storage supplies. 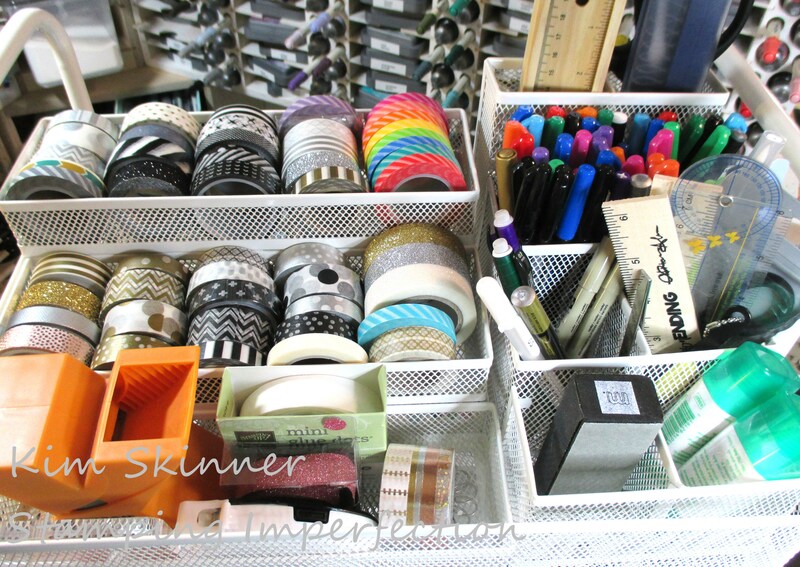 I had all of this stuff in bins on my craft table and it was taking up a lot of room. Plus, it got super messy too easily. This cart was the perfect solution. I love the size of this cart. It’s not huge. It is actually small enough to fit under my craft table. If you are a regular blog reader, you know that I like to have my tools and supplies visible and in grabbing range. If I put it in a cabinet, I forget to use it. If is convenient to reach and I can see it, I use it! The bottom shelf is holding my stamp and die storage materials. 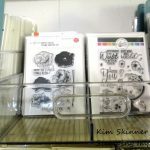 I have my large and extra large plastic sleeves, pre-cut card stock for inside the sleeves and my magnet sheets for the die storage. I’m using the Punch Store-n-Go Totally Tiffany bags for those and I love those too. I will have another video later in the week to show you those. The second shelf is holding my Catherine Pooler mini ink pads, along with my journaling pens and colored pencils. I have those in the punch storage bags as well. The top shelf has my washi tapes, adhesives, and all my tools and markers for journaling. These are stored in the two storage pieces that came with the cart. 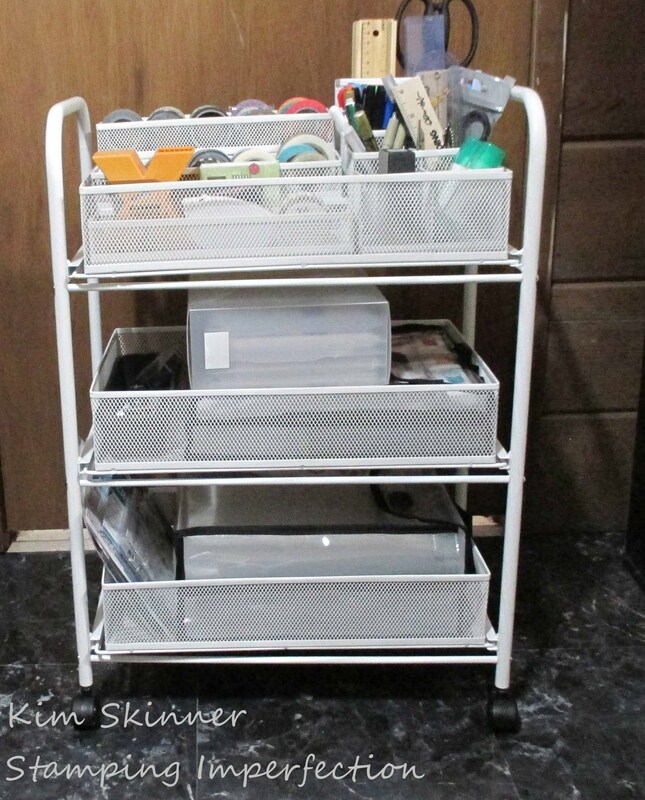 This cart actually came with 3 tray/shelves that slide out and can be carried around, plus a stadium organizer and a tool organizer that would look great and are very functional just on my craft table. 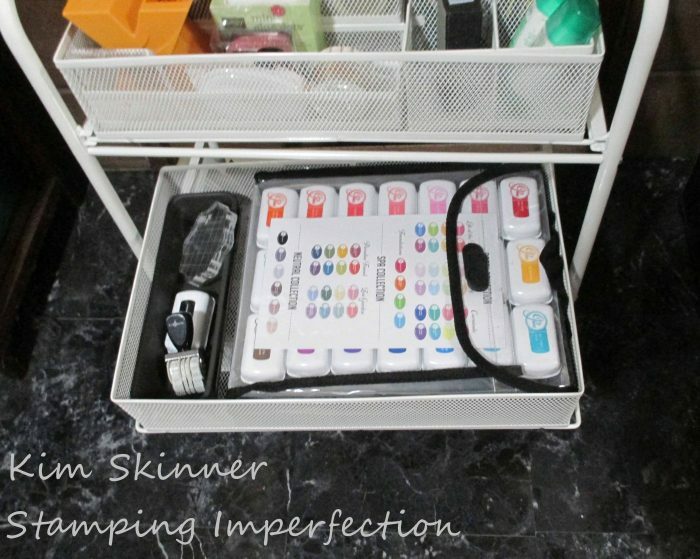 Convenient small size so it fits under my craft table out of site. It came with 3 removable trays that make perfect project trays. It also came with 2 additional storage pieces. Between the trays and the storage pieces, it holds a ton of stuff. It is on wheels and it turns 360 degrees easily, even on carpet. It is sturdy. I won’t need to replace this anytime soon. I think this a high quality product. 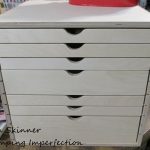 Also, this can be purchased with the Craft Wrap Apron for additional storage in pockets around the outside or you can purchase it with the Gift Wrap Apron and use this as a give wrapping station. It’s small size would allow you to easily tuck this into a closet or pantry. 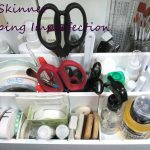 I think it would also be a great storage solution for a bathroom or an office as well. 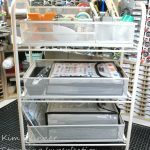 So many ideas and only 1 cart! Thank you for stopping by! 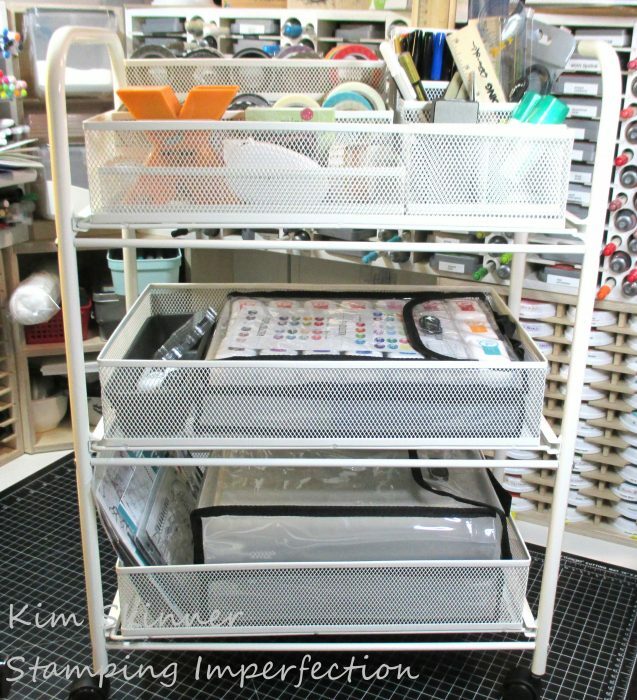 I would love to know what you might use one of these carts to organize! Hi Kim! Love this cart. The size is perfect especially if it fits under your desk. 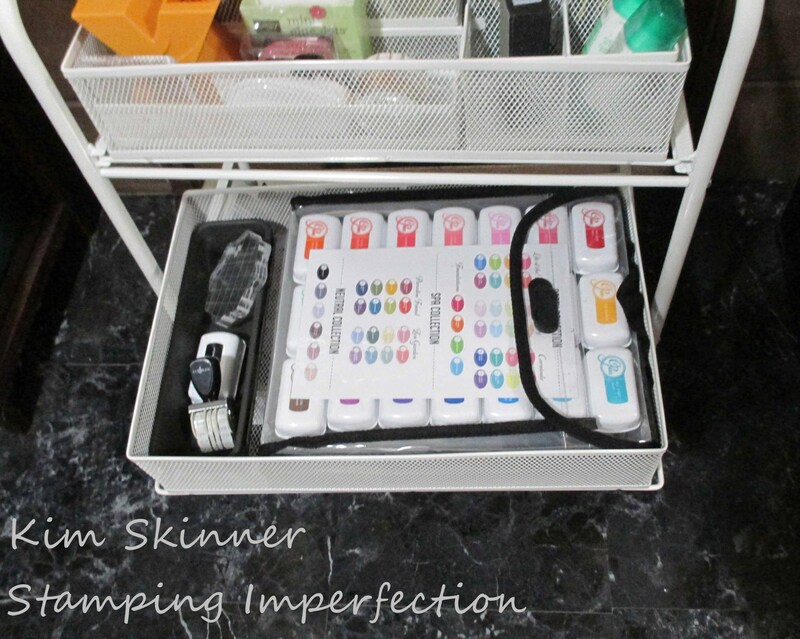 Also having all your basic tools in one of the removable trays that you can pull out onto your desk when working is convenient and organized. Cleaning up is a snap! I love those cases you show. Looking forward to your video on those. By the way this video is playing double and is difficult to hear. Thanks again for sharing these ideas! Hope you have a great week. Thanks Anita! I listened to this 3 times and it was perfectly fine. I don’t know what happened! I’m remaking the video and will hopefully get it up tomorrow.